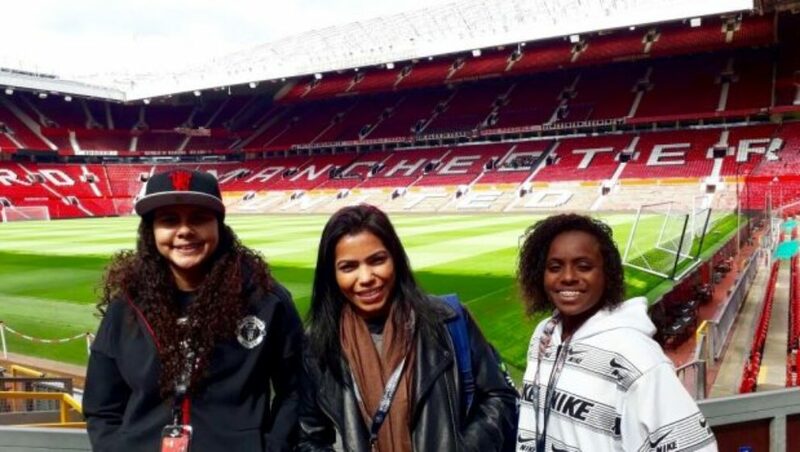 Street Child United (SCU) are delighted that three alumni from Brazil, who won a trip to the Theatre of Dreams, Old Trafford, were guests of Manchester United, at the weekend. Biela (17), Rayssa (17), and Drika (21), spent four days in Manchester, meeting United legends, playing futsal, and watching United’s home draw with Swansea City. The young women won the trip of a lifetime after participating in a Manchester United 3×3 beach football tournament on Copacabana Beach in April 2016. Each of the young women have participated in Street Child United events. 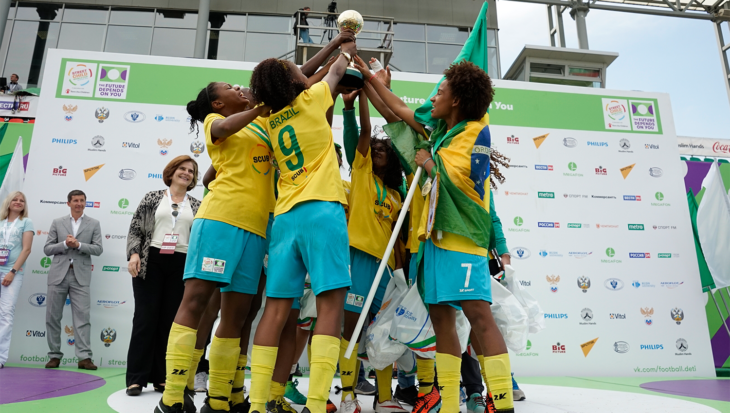 In 2014, Drika lifted the trophy for Team Brazil girls at the Street Child World Cup, Rayssa was one of her teammates. Drika now works for Street Child United Brazil as a coach at the Safe Space programme. 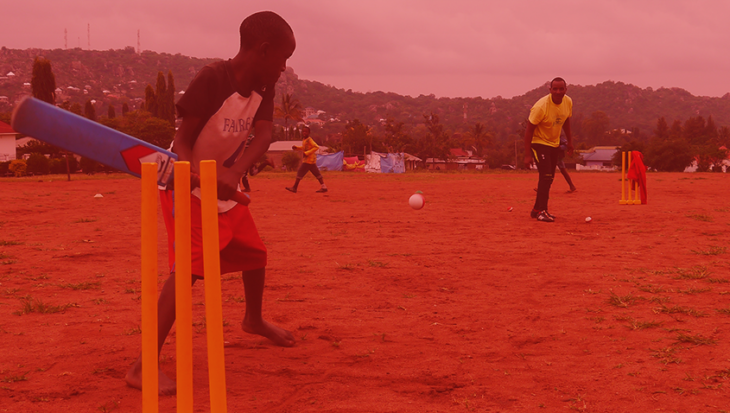 Safe Space is a football pitch offering coaching 6 days a week to children at risk. It is situated in one of the most dangerous favelas of Rio de Janeiro. The pitch offers a space for the children of the favela to play safely. Biela, who took part in the 2016 Street Child Games, lives very close to the Safe Space, and the importance of having a safe space for the children is not lost on her.